Some three years ago while constructing a new driveway at home, I went out to Wiseman's Ferry with my son-in-law to collect bush rock from private property in the area. Wanting to reduce the number of trips that we had to make we loaded the trailer to the absolute limit. The load was probably over a tonne of bush rock. The tow bar on my Four Wheel Drive (FWD) is a Hayman Reese fitting - one of the best. The tow ball and tongue are removable. This fitting is not tight and it rattles and moves as you meet the uneven surfaces of a lot of our roads. You get used to the occasionally noise that is generated and don't worry too much about it. Back to Wiseman's Ferry. We came out of the bush track and onto the Wiseman's Ferry Road heading back for home. The trailer connection was rattling as usual. About 2 kilometres from the intersection of the Canoelands Road with Wisemans Ferry Road I felt a swaying at the back of the car and looking in the rear vision mirror saw the trailer doing a side to side dance behind the vehicle. " Oh O, "I exclaimed," It looks like we've got a problem" and briefly alerted Colin to what was happening. Although my speed was modest (around 80 kph) with a tonne and half of bush rock plus a trailer out of control I was very concerned as to what was going to happen next. A quick glance up the road told me there were no vehicles coming in the opposite direction for which I was very thankful. I attempted to slow down but the momentum of the trailer did not accept this control even though the safety chain was connected. There was a sudden bang, the trailer shot off to the opposite side of the road, did a 180° turn and stopped with the rear of the trailer stuck against the embankment. I quickly pulled up and went back to assess what had happened both to the trailer and to the back of the car. The bang that I heard was the safety chain bolt shearing. The coupling had loosened and eventually fell off the top of the tow ball. Thankfully, the out of control trailer had not touched the back of the 4WD. The rear of the trailer where it hit the bank was only slightly dented. The dirt embankment had substantially absorbed the force of the impact. The electrical connections were severed. The safety chain could not be connected. To leave the trailer where it was would be dangerous to other vehicles. After thinking about what action we should take we hooked the trailer up again and drove home rather slowly, stopping to check a number of times that everything was okay. Why a trailer - A small omission lead to a catastrophic failure - and this happened to a number of bridges. 1968 saw the beginning of construction of the Westgate Bridge in Melbourne. On October 15, 1970 the first steel span on the western side of the Yarra River sagged and then collapsed pushing over the riverside pier in the fall. Thirty-five men were killed. The construction of the bridge was held up for quite some time while a royal Commission examined the situation and the causes of the collapse of that section of the bridge were determined. The bridge structure was a box girder. This is a fairly simple structure, being literally a series of steel boxes welded or bolted together. The base structure is generally used to support concrete decking for the roads and walkways. The Westgate Bridge had cable stays to provide additional support for the loads to be carried by the bridge. The weight of the total section is supported by the balance of the structures back beyond the tower or columns supporting the bridge. Critical elements and safe working practices were ignored, perhaps more by omission than by commission. Allowance had not been correctly made for the way the loads were being imposed on the new section of bridge. The components of the new section of box girder, its sides and other panels had buckled following the use of concrete blocks to correct an alignment problem. Bolts were then removed to allow the components to shift into the correct position. About 1 hour after the removal of the bolts the span collapsed. I passed the site some time after the accident and was surprised given the height that the girder fell that anybody lived to tell the tale. I don't understand why the workers were not removed from the bridge while the adjustments were made. The Royal Commission of 1971 reported that almost everybody engaged in the construction was at fault. The designers, the contractors and even the labour engaged in the work must all take some blame. The basic cause was held to be design inadequacies, which led to the safety margins being much too low. Reconstruction began in February 1972 with a new construction consortium with three specialist consulting engineers, supported by four professors of civil engineering. The design was modified to ensure added strength and safety margins and construction procedures were also revised. Interestingly though the basic construction presentation did not change from the original design. The Bridge was open to traffic in 1978. The Tacoma Narrows Bridge was the first suspension bridge across the Narrows of Puget Sound, connecting the Olympic Peninsula with the mainland of Washington State (United States of America). The Bridge achieved notoriety as a landmark failure in engineering history. Four months after its opening, on the morning of 7 November, 1940 in a wind of about 68 km per hour the 853 metre main span, which had already exhibited a marked flexibility, went into a series of torsional oscillations the amplitude of which steadily increased until the convulsions tore several suspenders loose, and the span broke up. In other words it flapped around in the wind and fell apart. An investigation disclosed that the section formed by the roadway and stiffening-plate girders (rather than web trusses) did not absorb the turbulence of wind gusts. At the same time, the narrow, two-lane roadway gave the span a high degree of flexibility. This combination made the bridge highly vulnerable to aerodynamic forces, insufficiently understood at the time. The failure, which took no lives because the bridge was closed to traffic in time, spurred aerodynamic research and led to important advances. The plate girder was abandoned in suspension-bridge design; the Tacoma Narrows Bridge was replaced by a new span stiffened with web truss. By chance a photographer was on hand and the bridge collapse was filmed. The plate girder construction was dropped from the design of suspension bridges and the span of the Tacoma Narrows Bridge replaced with a new span that was stiffened with a web truss. Don't think that the engineers and designers have learned their lessons and these things just don't happen today. Reported in theithicajournal.com from Syracuse in New York State, United States of America was a report of the October 10, 2002 collapse of a single box girder bridge built for pedestrian use over a four-lane highway. The bridge structure collapsed during a concrete pour and fell 20 feet to the ground, killing one worker and injuring 9 others. The report of the investigating engineers indicated that without lateral bracing of the top flanges the bridge was unstable during erection. "Its collapse due to global buckling was inevitable." reported the journal. "The designers failed to properly account for the flexibility of he steel girders they used and the unusual slenderness of the 170 foot span." I would like to turn you into bridge builders. Just kidding. Take a piece of A4 paper. By itself the paper is very weak. The paper laid flat will only support itself over a short span. It needs a support mechanism before the paper can function as a bridge. Do not despair, it can be done. 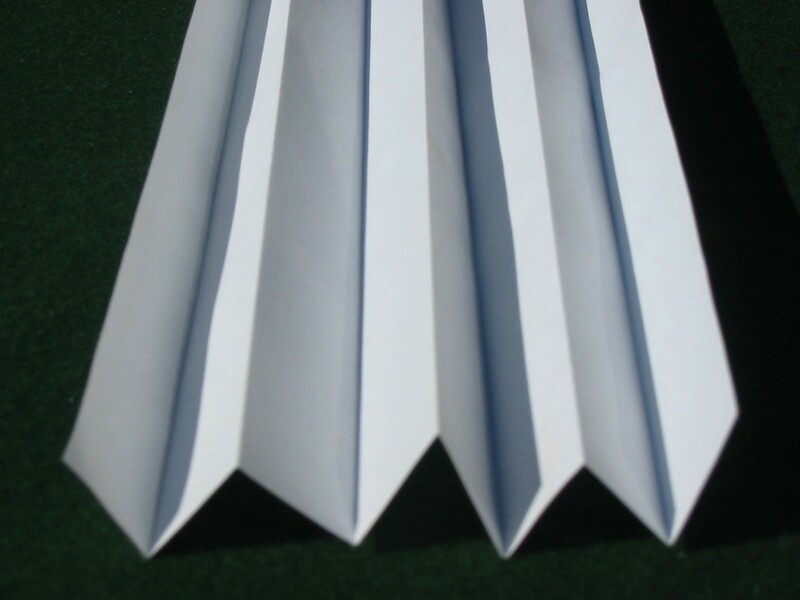 Take a second sheet of paper and fold it longitudinally into a fan fold. Don't worry about the accuracy, but make sure the folds are good and tight perhaps using your fingernail or a pen. Fix the fan folded sheet to the flat sheet of paper by glue, or staples. Now you have created a bridge. You will notice that you can span the space that you couldn't span before without the paper collapsing. 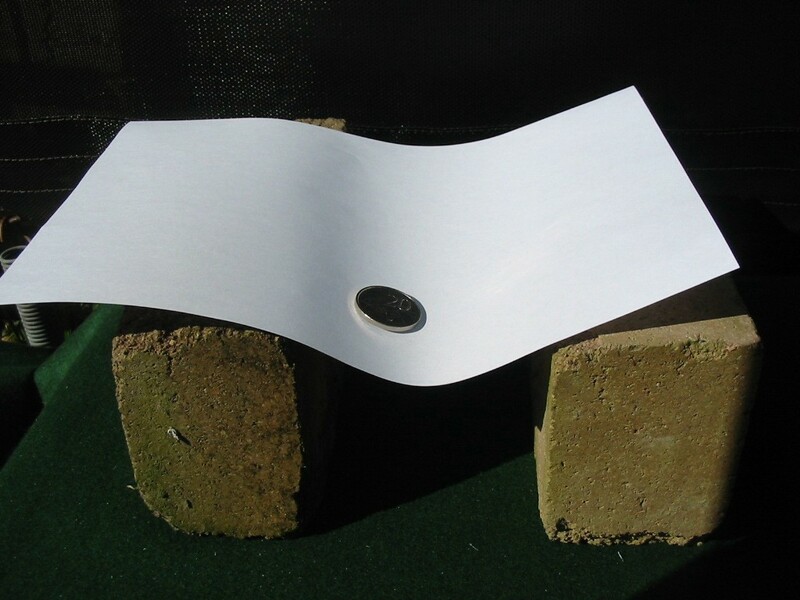 If you put a load of some sort on to the paper - perhaps pens or some keys or other items that you might have in your handbag or pocket you will see that this simple little structure of two pieces of paper can support quite a substantial load. 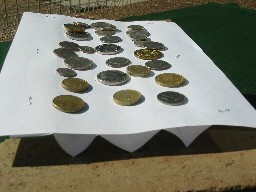 The single sheet could not support anything. Let's move now from engineering matters to spiritual matters and ask what lessons we can learn from such illustrations. "If this is so" (and I leave you to read the previous material) "then the Lord knows how to rescue Godly men from trials." When you drop back to 1 Peter, 5 and Verse 8 and read that: "Your enemy the devil, prowls around like a roaring lion looking for somebody to devour" at this point it may be appropriate to smash one of the paper box girders, then it is indeed useful and comforting and reassuring to know that God does put a limit on what can be done by the devil to destroy us. In Hebrews, Paul reminded the Jewish believers, and then us, of Jesus' role. Paul was presenting the case for moving from the sacrificial system that had been running for some 1600 years to its replacement, the death of Jesus. Paul's argument was that Christ, post crucifixion, was a far more effective high priest and sacrifice than anything that had occurred in the earlier system. He was, as noted in Chapter 1 and Verse 2, the Creator of the Universe. In Verse 9 of Chapter 2, He puts aside this role and becomes in status a little lower than the angels and was made as Verse 17 says, like His brothers in everyway. He has taken part in our life conditions, experiences and problems. He is able to help us. Lesson 2. We are to be supportive. Drop back to Romans 12 and note Paul's charter for the Christian, a practical creed for daily living in service, not in self-centeredness. Next time you are crossing a bridge, perhaps it will be the Sydney Harbour Bridge , maybe the Golden Gate Bridge in San Francisco, or maybe just a small "bridge" across the a local stormwater drain, reflect on how the bridge is put together. All the parts are important to allow the bridge to support the loads for which it is designed. All the components are important, the loss of even a small bolt will result in a lowering of the capacity of the bridge to carry the design loads and has lead to catastrophic loss. Remember how God is willing to support you and that you also have a support role for others. May we speak the truth in love as Paul directed the Ephesians. Grow up into Him who is the head, that is Christ and from Him form our part in the whole body joined and held together by every supporting ligament and other structural members, grow and build up together in love as each part does its work.